Ed Davey has hit back at the npower report which claimed the government's new green policies would result in the average energy consumer facing a £240 increase in their energy bill by the end of the decade. 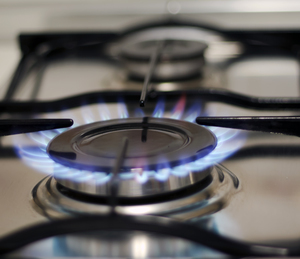 The 'Big Six' energy supplier published the report entitled Energy Explained on Tuesday (July 15) and identified a number of reasons why government policies would lead to the dramatic increase in energy bills by 2020. However, energy secretary Ed Davey has been quick to discount the research. Ed Davey said: "If you look at the npower report, they don't really look at energy efficiency properly, that is one of the big problems; they overestimate the cost of ECO; they assume falling gas prices, which is a bit weird. "There are a few things they do, which give them a ridiculous price. We completely reject their figures." The government has desperately been trying to get the country on track in regards to carbon emissions and energy efficiency in order to meet necessary targets. In January it launched the Green Deal, offering customers loans and cashback opportunities on energy improvement measures such as new boilers. At the same time it is launched another policy, the Energy Company Obligation (ECO), which forces energy suppliers to help out more vulnerable energy consumers. It is the ECO scheme which has been criticised more by suppliers and in the npower report, it challenged the Government's claims ECO would £53 to the average duel fuel bill, with the firm predicting the figure would be closer to £88. Something Davey also disagreed with. He added: "I'm afraid npower has quite a bad track record. "Before ECO was launched they put out a report that said the cost of ECO would be £3bn. To be fair, in this recent report they have the cost of ECO at £1.7bn, although they don't tell anybody that they got it wrong by nearly double last year. "Our impact assessment is showing that the cost will be £1.3bn and the latest evidence from the most recent brokerage auctions show our figures are about right." In defense of the report, an npower spokesman said: "Ed Davey is right about the omission of the impact of energy efficiency, but we are not aiming to critique government policy with this report, what we want to do is show customers that if they don't engage with energy efficiency then their bills will go up."